The La Ceiba affiliate of Habitat Honduras was founded in June 2003. Their initial goal was to build 12 houses per year to tackle a calculated housing deficit of 10,000 houses. 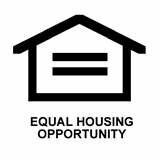 As of 2011, 175 new homes had been built, serving 252 families (1,260 individuals) with housing solutions. Their cost to build a home is approximately $6,500. In 2006, Morris Habitat established a partnership with La Ceiba, making a commitment to send 75% of our tithe to fund Habitat for Humanity’s work in our sister affiliate each year. 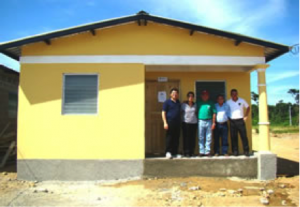 From 2006-2011, Morris Habitat tithed more than $93,000 to build 16 homes with La Ceiba. In addition to sending the money, we will build a relationship between our two organizations by sending groups to participate in Global Village work teams there. La Ceiba is the third largest city in Honduras, with an approximate population of 130,000. This vibrant port city on the northern coast of Honduras is named after the giant ceiba trees that grow near the beach and provide shade to dock workers and locals during hot afternoons. La Ceiba’s thriving economy is based largely on income from tourism and surrounding pineapple plantations. Located on the southern edge of the Caribbean, it has steamy weather, with temperatures ranging between 85-100 F most of the year and large amounts of rain from November to January. Honduras is the second-largest Central American nation after Nicaragua. It borders the Caribbean Sea, between Guatemala and Nicaragua on the north, and borders the Gulf of Fonseca (North Pacific Ocean), between El Salvador and Nicaragua on its south side. The climate is subtropical in lowlands but temperate in mountains. Honduras’ main language is Spanish, but there are also many Amerindian dialects. The Roman Catholic Church is the officially recognized church in Honduras, with 97 percent of the population identifying themselves as Catholic. Since its founding in 1988, Habitat Honduras has built more than 7,000 houses, providing simple, decent and affordable shelter for more than 35,000 Hondurans in need of stable housing. A typical earthquake-resistant Habitat Honduras house has a polished cement floor, block walls reinforced with steel, corrugated iron roof and doors and shutter windows made of wood. Houses include a kitchen, one to three bedrooms and a bath. Families are offered two house models, one measuring 48 square meters (517 square feet) and the other 36 square meters (388 square feet). The first model has been used for almost fourteen years, and the second was recently introduced with great success, as it allows Habitat to reach families with even lower incomes. Honduras is one of the poorest and least developed countries in Latin America, with nearly two-thirds of Hondurans living in poverty. Before 1998, Honduras had shown moderate economic growth as a result of government reforms. Nevertheless, after losing $3 billion due to Hurricane Mitch, Honduras’ economy is still in the process of recovery. The agriculture sector, responsible for most exports, was the worst affected. Mitch also caused more than 6,000 deaths and left 8,085 missing and 75,000 homeless. After the Hurricane Mitch tragedy, the housing deficit percentage increased from 63% in March 1998 to 66% in March 1999, representing an increase of 165,000 houses. Morris Habitat staff and volunteers took Global Village Trips to Honduras to help build new homes in 2011 and 2014. On these 9- to 10-day trips, volunteers work alongside future Honduran homeowners and local volunteers under the supervision of Honduran masons. The work is rigorous—mixing cement by hand, digging trenches for foundations, moving boulders or cinder block, making adobe brick, laying blocks to build the walls—but teamwork makes the labor fun. Join Morris Habitat as it eliminates poverty housing in both the United States and Honduras, one family at a time. If you are adventurous, open-minded, and ready to get your hands dirty, then this is the trip for you!